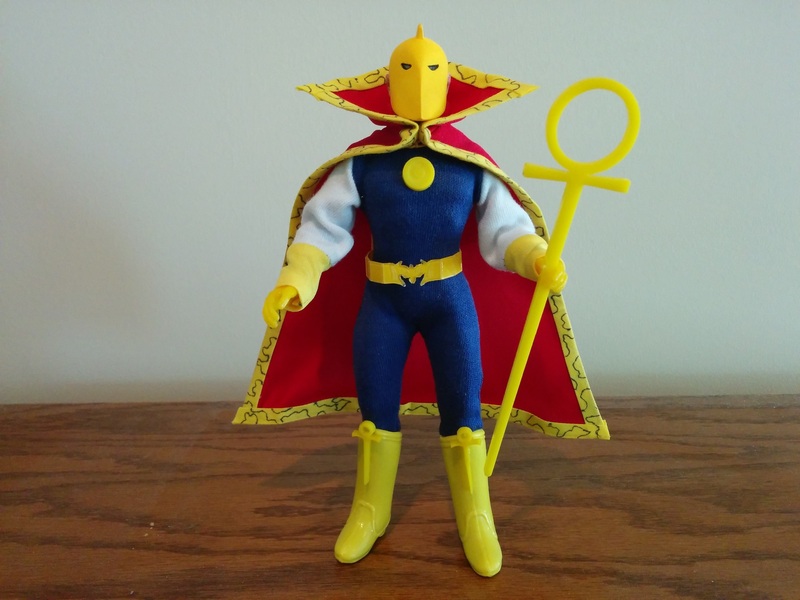 We were happy to help Scott over at the Mego Museum with his Doctor Strangefate custom! Doctor Strangefate is a combination of the Doctor Strange character from Marvel and Dr. Fate character from DC in the Amalgam comics. We were happy to laser cut the Ankh staff and boot details, the belt and the "eye".